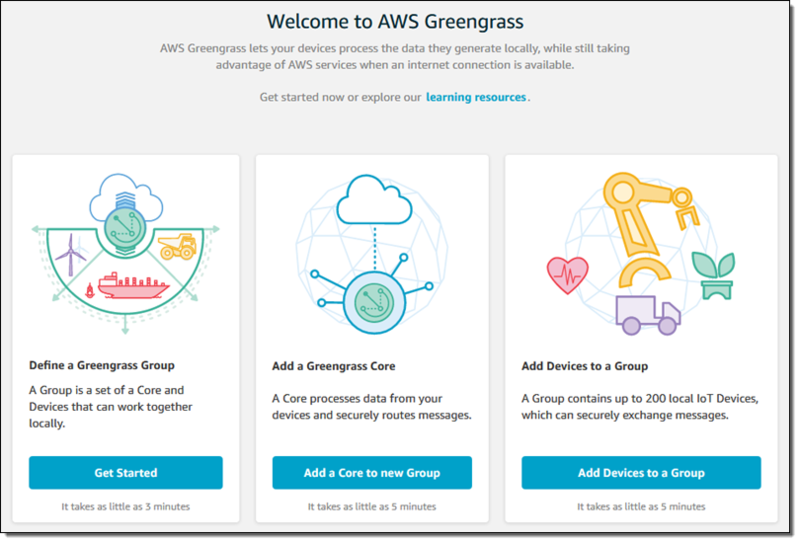 I first told you about AWS Greengrass in the post that I published during re:Invent (AWS Greengrass – Ubiquitous Real-World Computing). We launched a limited preview of Greengrass at that time and invited you to sign up if you were interested. 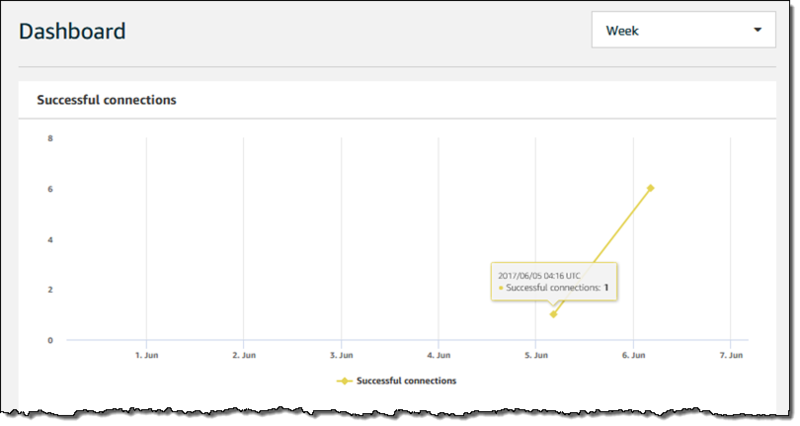 As I noted at the time, many AWS customers want to collect and process data out in the field, where connectivity is often slow and sometimes either intermittent or unreliable. Greengrass allows them to extend the AWS programming model to small, simple, field-based devices. It builds on AWS IoT and AWS Lambda, and supports access to the ever-increasing variety of services that are available in the AWS Cloud. Greengrass gives you access to compute, messaging, data caching, and syncing services that run in the field, and that do not depend on constant, high-bandwidth connectivity to an AWS Region. 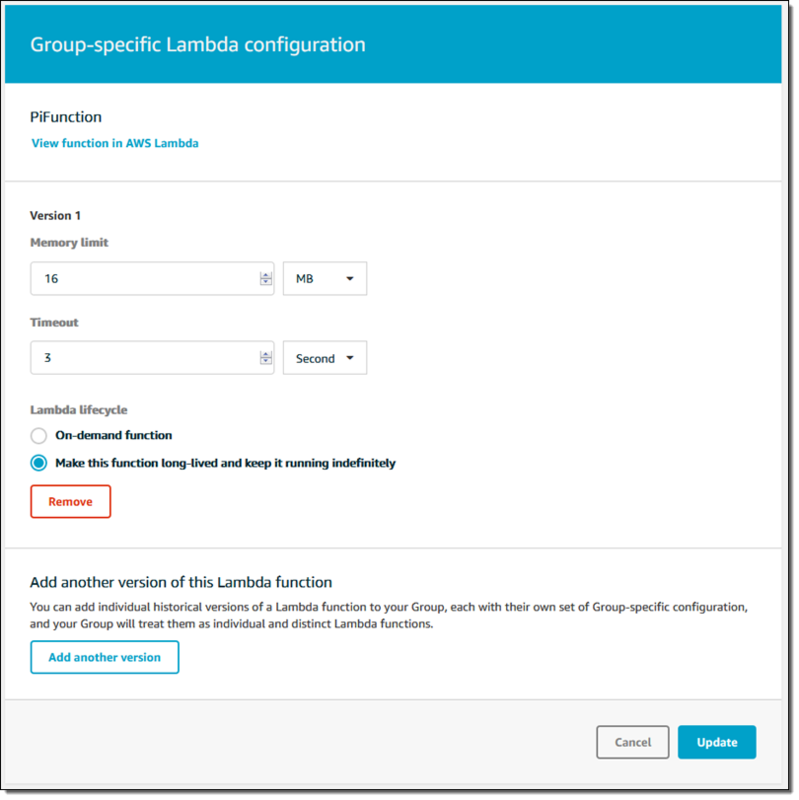 You can write Lambda functions in Python 2.7 and deploy them to your Greengrass devices from the cloud while using device shadows to maintain state. Your devices and peripherals can talk to each other using local messaging that does not pass through the cloud. Today we are making Greengrass generally available in the US East (Northern Virginia) and US West (Oregon) Regions. During the preview, AWS customers were able to get hands-on experience with Greengrass and to start building applications and businesses around it. I’ll share a few of these early successes later in this post. 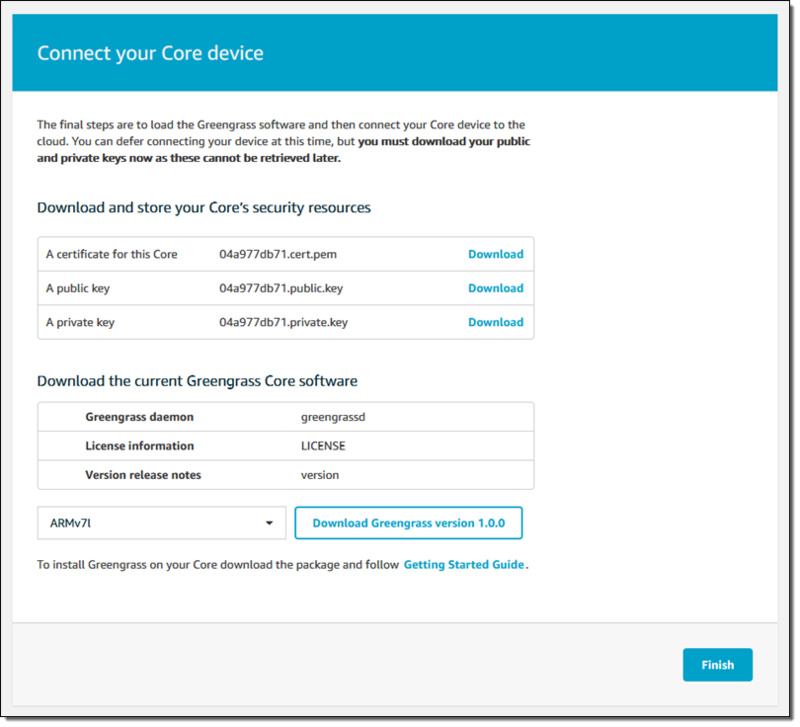 The Greengrass Core code runs on each device. 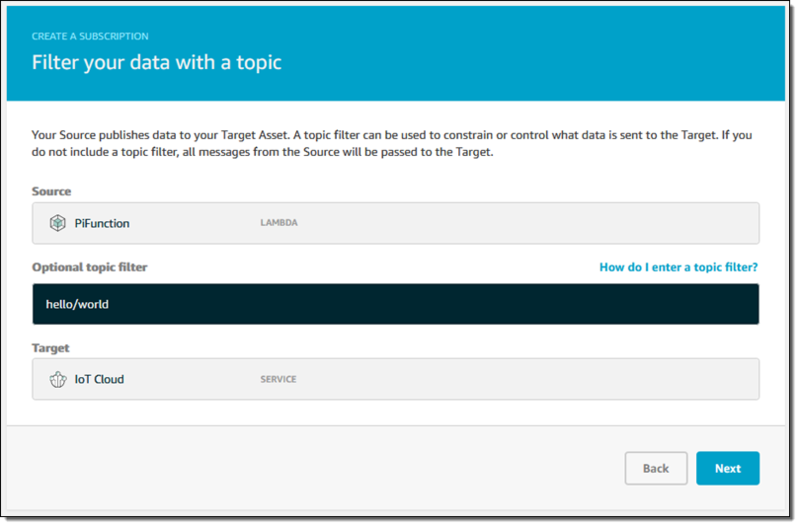 It allows you to deploy and run Lambda applications on the device, supports local MQTT messaging across a secure network, and also ensures that conversations between devices and the cloud are made across secure connections. 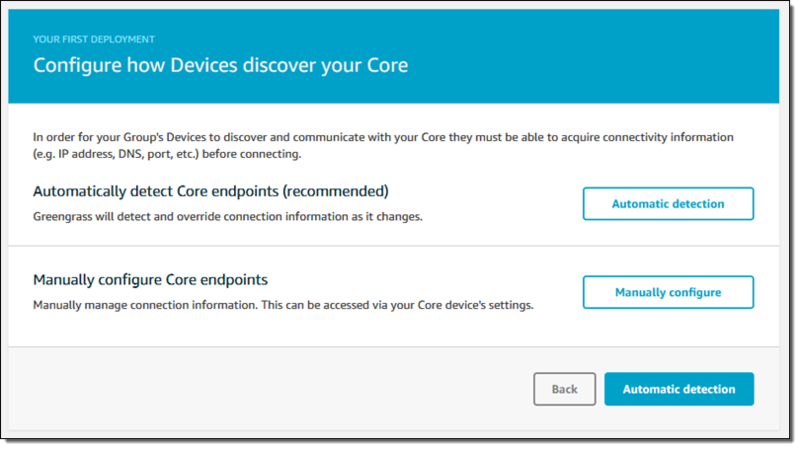 The Greengrass Core also supports secure, over-the-air software updates, including Lambda functions. It includes a message broker, a Lambda runtime, a Thing Shadows implementation, and a deployment agent. Greengrass Core and (optionally) other devices make up a Greengrass Group. 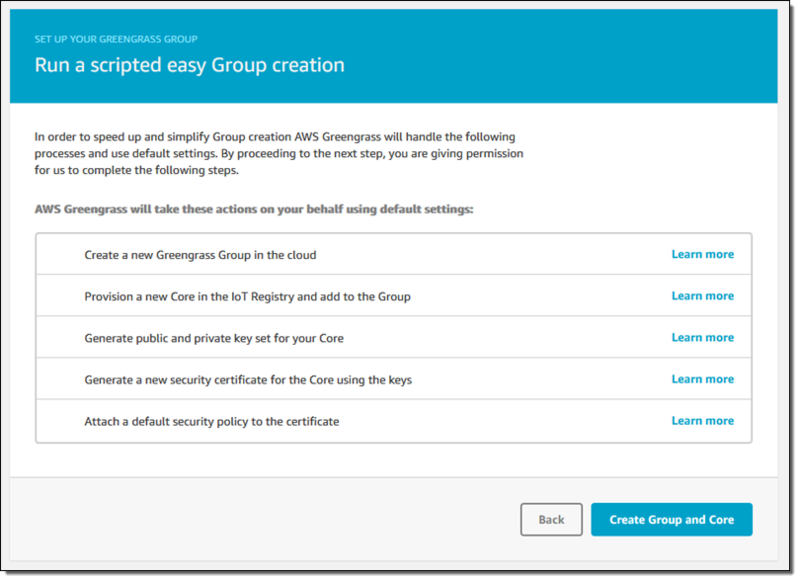 The group includes configuration data, the list of devices and the identity of the Greengrass Core, a list of Lambda functions, and a set of subscriptions that define where the messages should go. All of this information is copied to the Greengrass core devices during the deployment process. 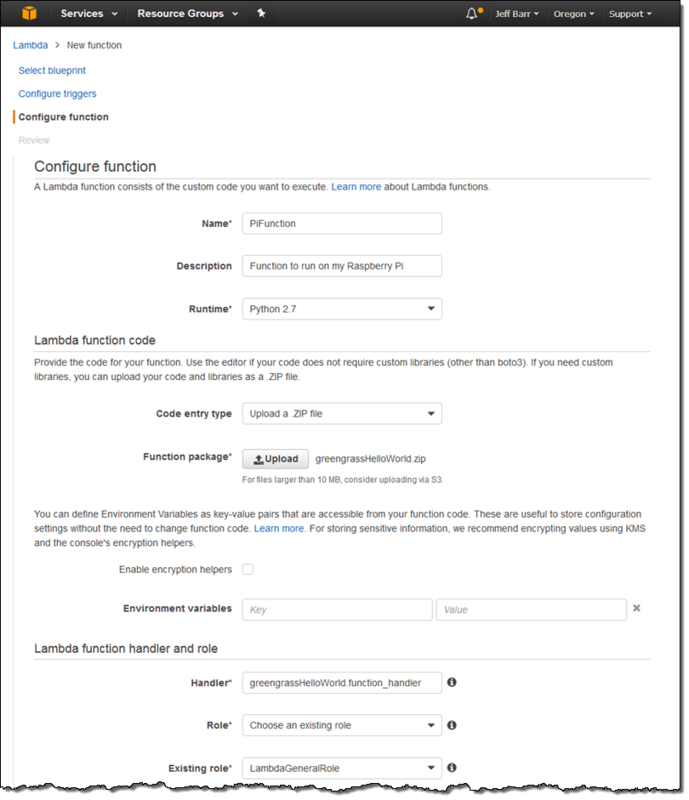 AWS SDK for Python – This SDK allows your code to interact with Amazon Simple Storage Service (S3), Amazon DynamoDB, Amazon Simple Queue Service (SQS), and other AWS services. 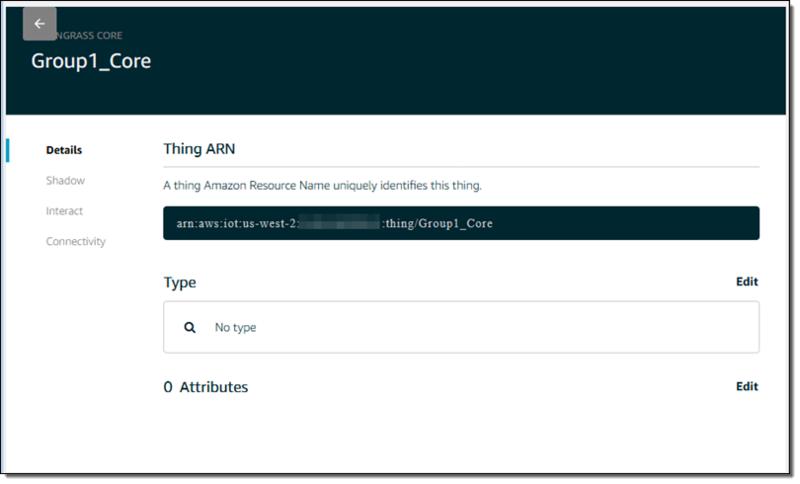 AWS IoT Device SDK – This SDK (available for Node.js, Python, Java, and C++) helps you to connect your hardware devices to AWS IoT. The C++ SDK has a few extra features including access to the Greengrass Discovery Service and support for root CA downloads. 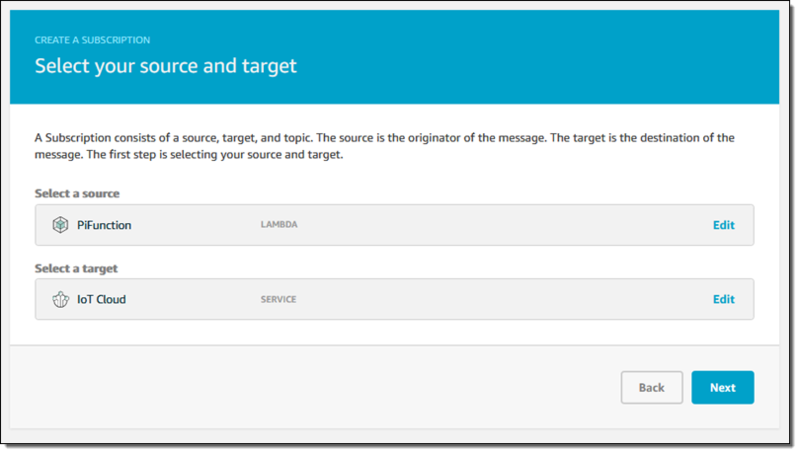 AWS Greengrass Core SDK – This SDK provides APIs that allow local invocation of other Lambda functions, publish messages, and work with thing shadows. 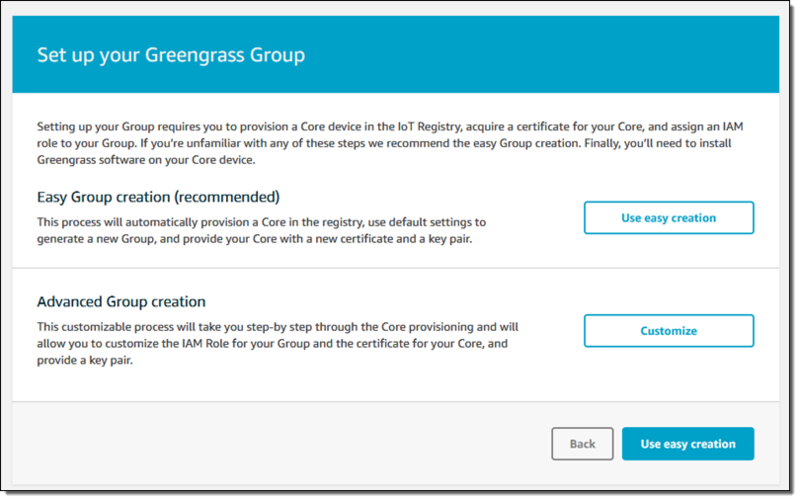 You can run the Greengrass Core on x86 and ARM devices that have version 4.4.11 (or newer) of the Linux kernel, with the OverlayFS and user namespace features enabled. While most deployments of Greengrass will be targeted at specialized, industrial-grade hardware, you can also run the Greengrass Core on a Raspberry Pi or an EC2 instance for development and test purposes. 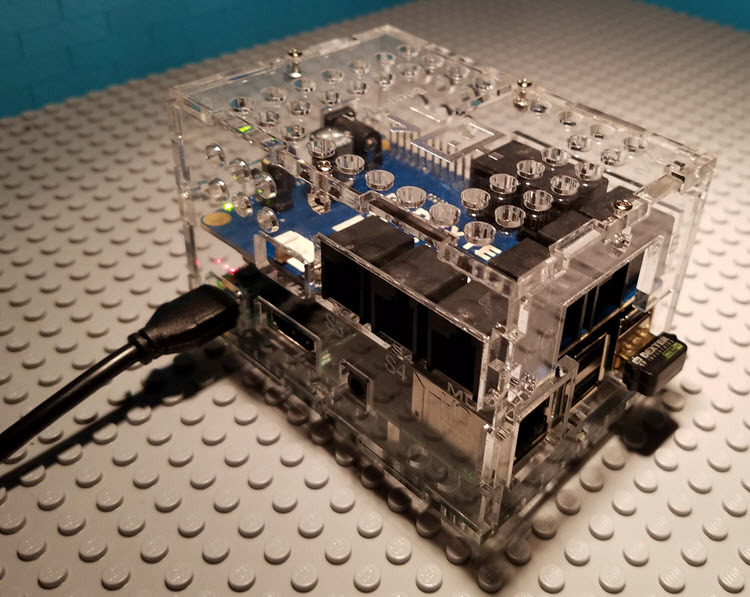 The Raspberry Pi, the BrickPi, the case, and all of the other parts are available in the BrickPi 3 Starter Kit. You will need some Linux command-line expertise and a decent amount of manual dexterity to put all of this together, but if I did it then you surely can. I download the security resources and put them in a safe place, and select and download the desired version of the Greengrass Core software (ARMv7l for my Raspberry Pi), and click on Finish. Following the directions in the user guide, I create a new user and group, run the rpi-update script, and install several packages including sqlite3 and openssl. After a couple of reboots, I am ready to proceed! With all of the setup work taken care of, I can do iterative development by uploading, publishing, and deploying new versions of my code. I plan to use the BrickPi to control some LEGO Technic motors and to publish data collected from some sensors. Stay tuned for that post! Pay as You Go – $0.16 per month per device. Annual Commitment – $1.49 per year per device, a 17.5% savings. If you want to run the Greengrass Core on more than 10,000 devices or make a longer commitment, please get in touch with us; details on all pricing models are on the Greengrass Pricing page.